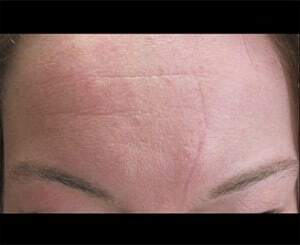 This patient suffered with a very visible scar on her forehead for many years after an MVA. 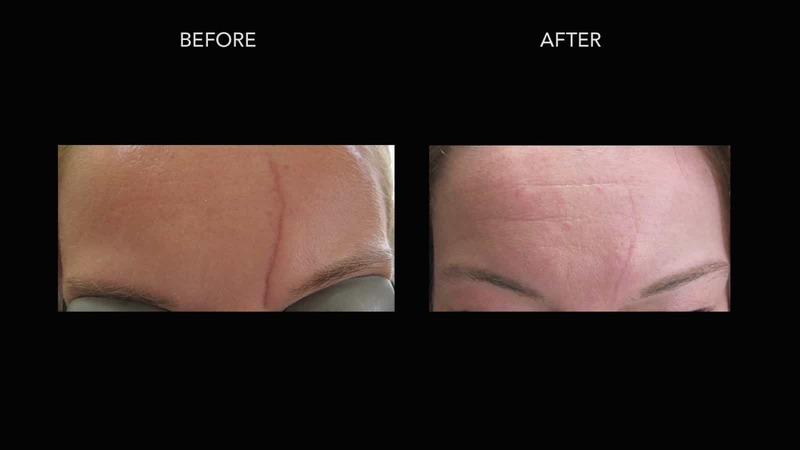 We used one of our vascular lasers to remove the redness in the skin which dramatically improved the appearance of the scar in the skin. Just one session was required for this although we performed an additional one for optimal clearance. 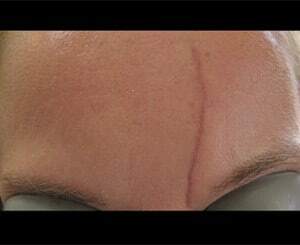 Years later, the scar is almost invisible.